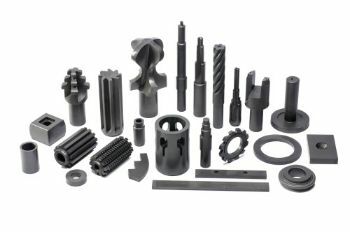 By using the preforming expertise at H.B.Carbide, major portions of carbide can be removed from the tool blank while the carbide is in the 'green' state. Drilling of coolant holes, prefluting, and grinding different diameters can be accomplished in seconds at HBC as compared to the slow process of grinding in the 'hard' state. Therefore, there is minimal grindstock for you to finish grind. This reduction in grinding time saves you grinding wheel life and increases machine capacity allowing you higher productivity.